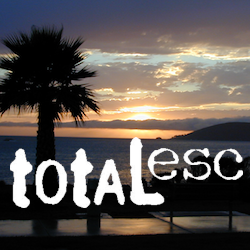 Sespe Hot Springs is one of the hottest thermal springs in the California coastal region. The unique springs, leaking from a cliff high above, leaves a red mark down the white rock wall and it is too hot to touch near the source. Scalding is possible in Sespe Gorge! 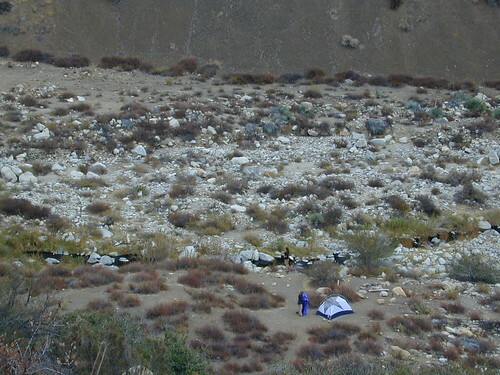 Several clearings and tent spots are located in the sandy canyon, between the cottonwood grove and the springs source. Stack river rocks and boulders to create your own soaking tub and relax. Do bring your backpack and plan on spending the night, cuz if not it’s an 18 mile RT hike (done as a day hike – it can be very long and rough). Weekdays are best for seclusion and having the whole place to yourself. Weekends are the prime time for SoCal trekkers to arrive. 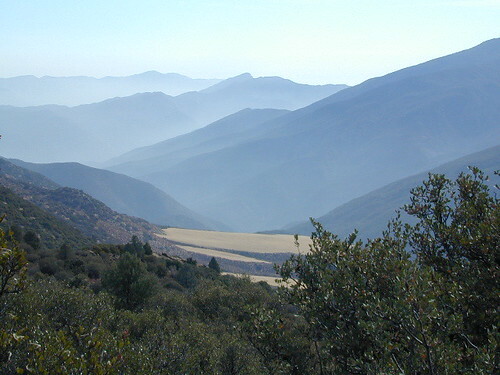 Grade Valley Road – The access to Sespe Hot Springs trailhead is via Lockwood Valley Road; west of Frazier Park about 12 miles. Take the backroad #7N03 (Grade Valley / Mutau Road) southbound into the forest and traverses 13 miles of rough dirt road to reach the small dirt parking lot. 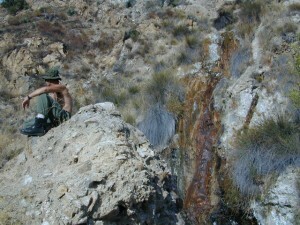 Deep inside this route, you are now totally surrounded by Sespe Wilderness. Both Thorn Meadows Campground and Half Moon Campground are located back here on the main dirt road. A dead end dirt road is the trailhead for Sespe Hot Springs. Via Johnston Ridge – The access trail is LONG, with a lot of up and downs, changing in elevation, thru pinyon pine forest and oaks, along dry dusty ridges, very exposed. Cottonwood trees line the large canyon at the Hot Springs.